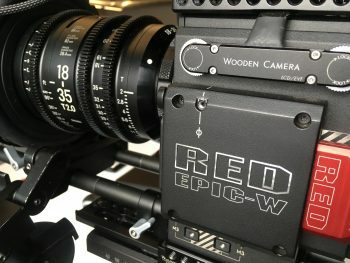 First time out with the RED Epic W yesterday. A fine camera as it goes. From an operating standpoint it was really no different than using the original EPIC. It all comes down to what accessories you add to it to make it useable in your configuration. I was using the Gratical Eye from Zacuto in addition to the RED monitor bolted to the top. Most of the day was Hand-held so I was using an EASYRIG to take some of the load off. The handle was prone to slipping off the clamp because of the front heavy arrangement using the Sigma Cine zoom and Wooden Camera matte box. I will say the fan noise was much reduced over that of the original EPIC. I still find the menus and setup of the camera to be cumbersome. A few more quick access buttons and an easy way to configure the ones that do exist?